I am a Symless customer. 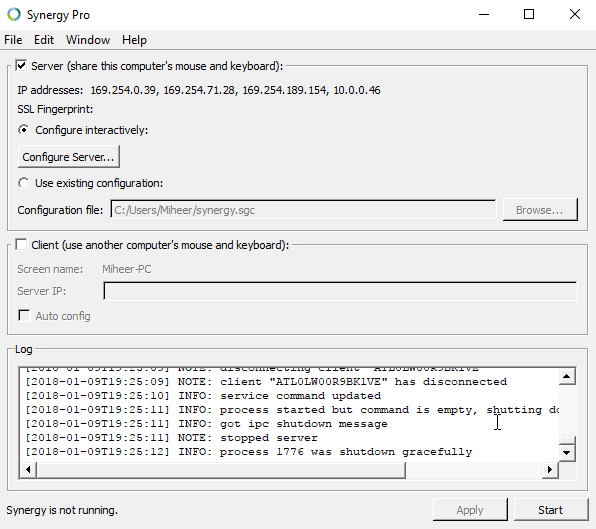 The Windows profile I was using on my Synergy Server got corrupted. I thus created a new Windows profile. 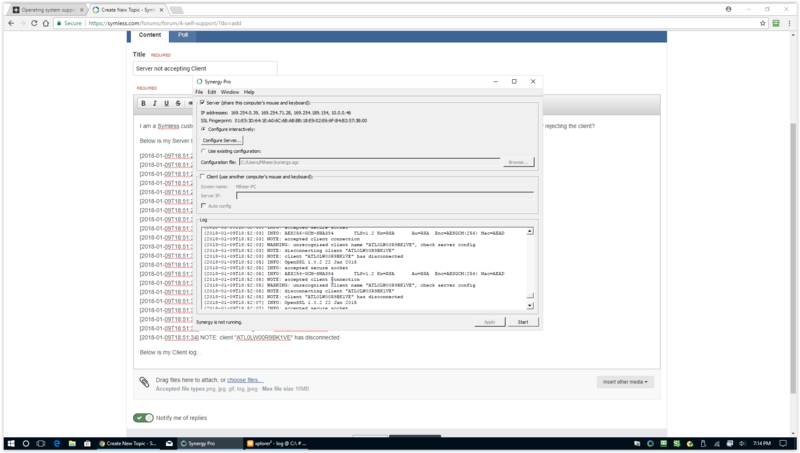 Why is my Server now rejecting the client? Could you please help? [2018-01-09T18:51:32] NOTE: disconnecting client "ATL0LW00R9BK1VE"
[2018-01-09T18:51:34] NOTE: disconnecting client "ATL0LW00R9BK1VE"
[2018-01-09T19:40:48] ERROR: server refused client with name "ATL0LW00R9BK1VE"
[2018-01-09T19:40:50] ERROR: server refused client with name "ATL0LW00R9BK1VE"
[2018-01-09T19:40:52] ERROR: server refused client with name "ATL0LW00R9BK1VE"